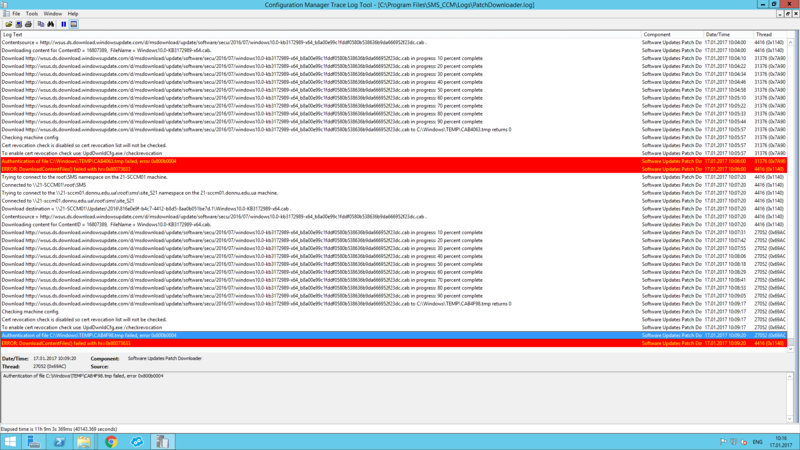 Configuration Manager Software Update Point Error 0x800b0004. The Microsoft System Center Configuration Manager System Center Updates Publisher (SCUP) component may fail to synchronize updates. This error can occur if a proxy server or other networking device returns an HTML error for the file request. SCUP attempts to read the digital signature of the temporary file and fails. Investigate any upstream proxies, firewall servers, or other network devices that may be returning custom error messages. Log on to the server with administrative credentials. psexec /s /i cmd /c start <URL> where <URL> is the FTP or HTTP URL specified in the PatchDownloader.log file.